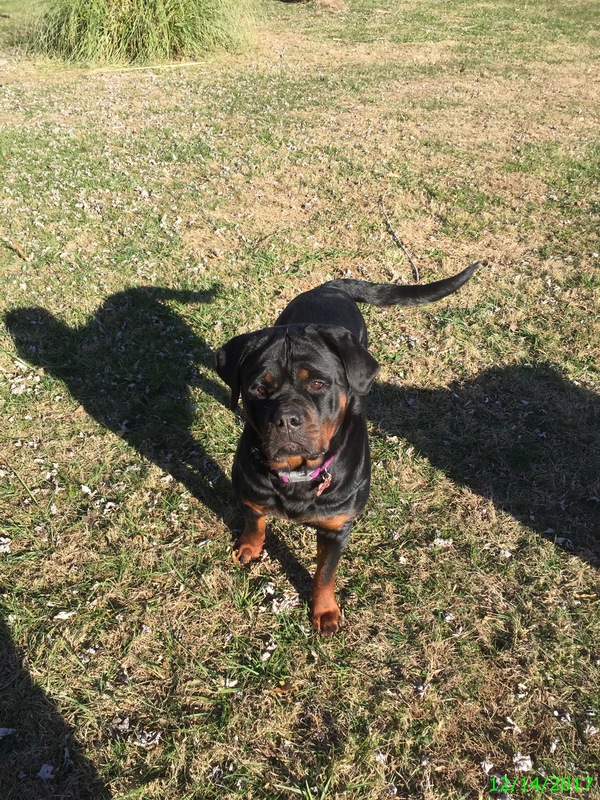 Our Females – Rocky Top Rottweilers Inc. These Lovely Ladies Are Such Beauties!!! 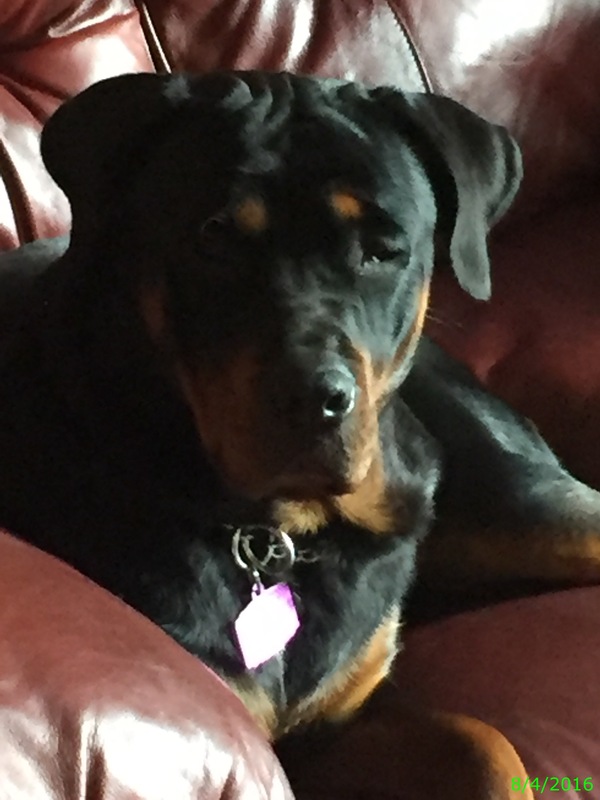 Lacie, our family matriarch, was a rescue and although not AKC registered she has turned into one of the most well behaved and easily trainable Rottweilers that we have ever had the pleasure to care for. Lacie is very intelligent and is always aware of everything going on around her. We call her “The Nanny” because she is always looking out for us and for her canine brothers and sisters. Lacie is BFF’s with Kodi and Penny, our Yorkshire Terriers! Auna is a Serbian Rottweiler with much sought after championship bloodline and pedigree and is AKC registered. Auna is a very keen and intelligent dog who is easily trainable with a mild temperament. She is full of energy, mischief and loves to run and play in the grass or snow. She is very social with her canine brothers and sisters and you will usually find her in the middle of the trouble! Her big beautiful smile will make you laugh out loud, you just can’t help it. Vita is our lovable and ornery young lady and is full of activity and fun. 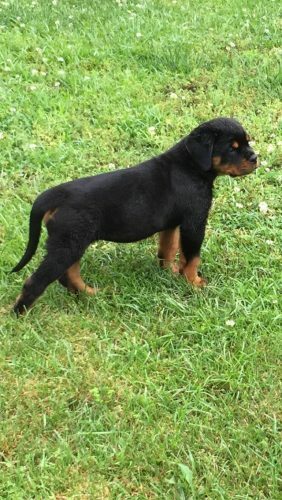 She is German/Serbian with a premier championship bloodline and pedigree and is AKC registered. Vita is growing taller and wider every day and will be all grown before we know it! She is infinitely curious and playful and when tired she is as affectionate and loving as can be. Rottweiler kisses are her specialty! Tessa is our newest Serbian young lady with outstanding championship bloodlines and pedigree and is AKC registered. Tessa is the most adorable puppy you have ever seen! Tessa is lovable and playful and is best friends with Finn, our little Maltese male. Tessa has an amazing temperament and is extremely intelligent. 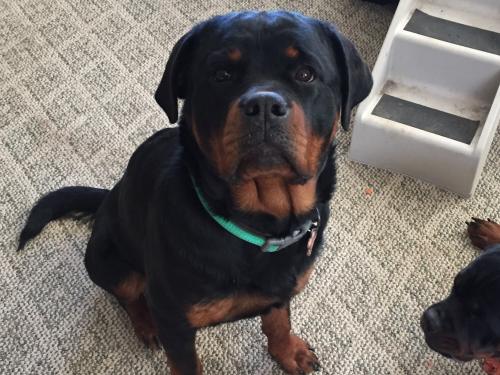 She doesn’t take any bull from her Rottweiler sisters and will boldly put them in their place! She loves a good belly rub and a good bone to chew on, sometimes both at the same time! You just have to see this sweet face and you will be in love! Visit Lacie’s, Auna’s, Vita’s and Tessa’s pages under Our Females to see more information and photos of each of our beautiful girls! 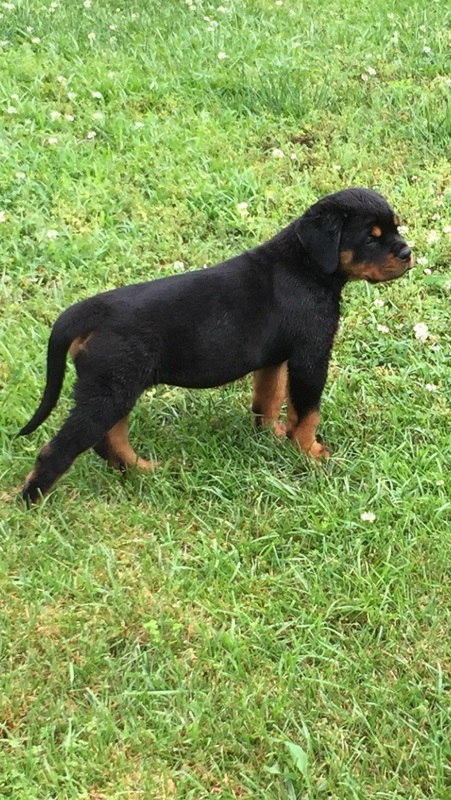 ©2019 - Rocky Top Rottweilers Inc.